For two years this city had a government that was making progress. From 2016 until last year, NMB was experiencing, for the first time ever, a government that would not tolerate corruption or waste. A government that put the needs of the people first. This followed more than two decades of plunder under an ANC local government so corrupt it made the looters of the state elsewhere look like amateurs. By 2016, this city had been brought to its knees, with almost every government project and tender offering an opportunity for someone to make money. Quite rightly, the people of NMB said “no more” and voted the ANC out. In its place came a coalition government led by the DA that immediately started to right two decades of wrongs. This DA-led government turned a R2bn debt in the metro into a R650m surplus. It introduced a brand new Metro Police Force. It stopped over R600m in corrupt contracts. It resurfaced over 55,000 square meters of road. It eradicated almost 10,000 bucket toilets. In two years NMB went from second-least to second most trusted metro in SA. But while this was great news for the people of NMB, it was bad news for those who had become accustomed to a little extra money in the pocket. 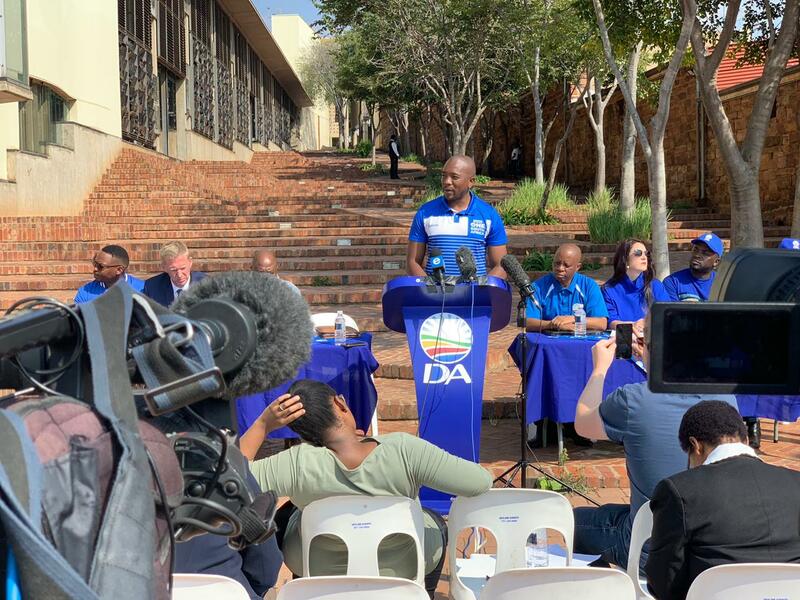 And so the DA-led coalition fell to a new coalition of sorts: a coalition of corruption that turned its back on the people of this city and returned to the old ways of looting and patronage. Almost immediately, the progress made under the DA slowed down and, in many cases, came to a complete halt. The tarring of this road we’re standing on was one of many such projects undertaken by the administration of Mayor Athol Trollip. But the moment the ANC, EFF and UDM’s coalition of corruption took over, these projects ground to a halt. They took away the budget the DA had set aside for the tarring of the roads here in Ward 55, leaving them in this state. 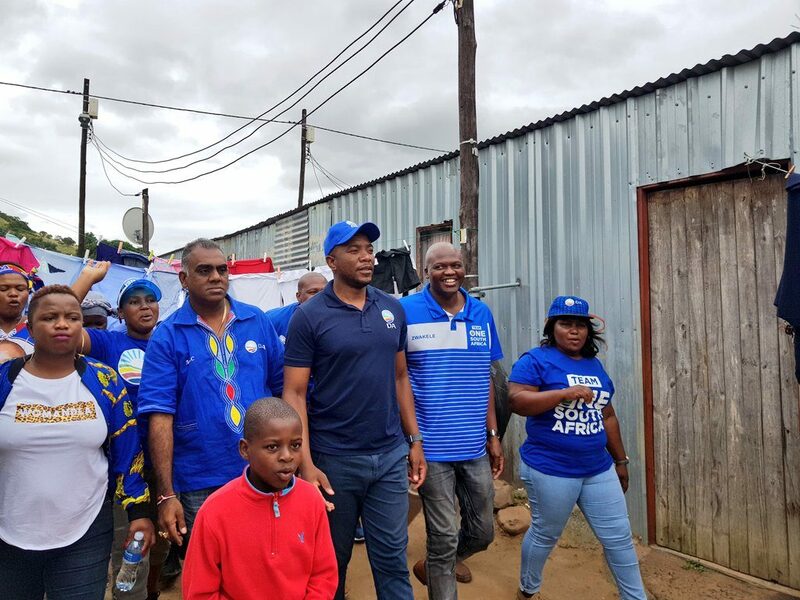 During its last year in office here, the DA-led coalition spent all of its Urban Settlement Development Grant and was rewarded with an extra R200 million from National Treasury – money which this coalition of corruption almost certainly won’t spend. By February this year they had only spent 30% of their capital budget. If they don’t spend this additional money by the end of the financial year, it will be returned to National Treasury and the people of NMB will once again lose out. That is the state of NMB today, under this ANC/EFF/UDM coalition. It is back where it was before 2016. The looters are back in office, and the people of this city are forgotten once more. President Ramaphosa was here in Motherwell just two days ago, complaining about coalition governments. He said they don’t work, and you should rather all vote for the ANC. He said this place is covered in rubbish, and he blamed the municipality for making the place dirty. But he was blaming his very own government for this. The ANC is, by far, the majority partner in this new coalition of corruption. 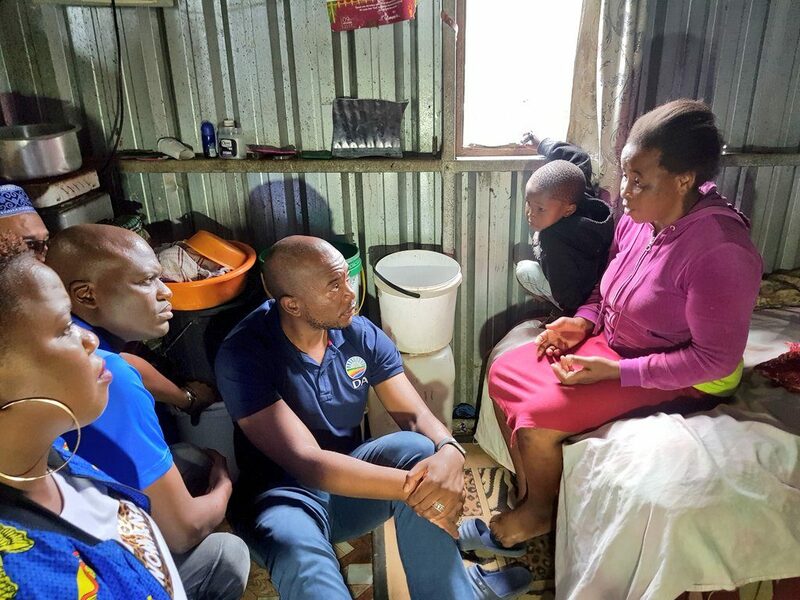 When he speaks of the poor state of areas like this – of the litter and the crime and the lack of jobs – he is pointing out all the failures of his own ANC. The President has no problem blaming coalition governments when campaigning for the ANC, but he seems to forget that the ANC government is precisely that – a coalition. Their Tripartite Alliance with Cosatu and the SACP has little in common with one another, other than the pursuit of power. And they seek to do so by coalescing around race – by creating an “us” and “them”, and urging voters to stick to this racial solidarity. This kind of mobilisation is a crude throwback to the days of Apartheid has no place in our modern democracy. The fact is, coalitions work when they are formed in the interest of the people, and they fail when they are formed in the interest of power and patronage and mobilised around race. So no, Mr Ramaphosa, you are wrong about coalitions. They do work and they are, in fact, the future of our politics here in South Africa. But then we are talking about real coalitions formed to govern in the interest of the people. We’re talking about the kind of coalitions the DA has already formed successfully here in NMB and elsewhere in South Africa. 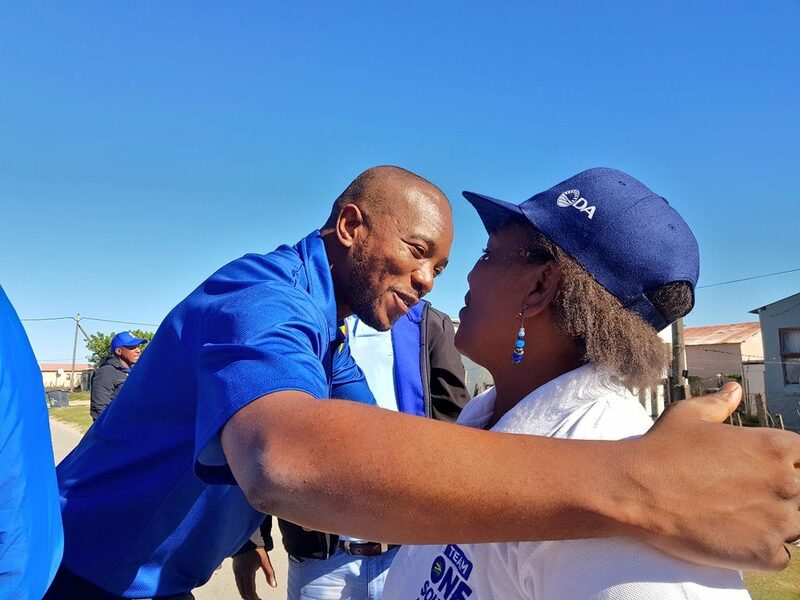 The DA-led coalitions here in NMB as well as in the Gauteng Metros, succeeded in delivering far beyond what the previous ANC governments could deliver because the needs of the people were central to their existence. But the ANC coalition of corruption here in NMB, just like their Tripartite Alliance coalition, is doomed to fail because it is chasing the wrong goal, and it is serving itself. We must reject this call by President Ramaphosa next month when we go to the polls. We must remind him that what he’s asking for – a one-party state – is precisely what delivered us the mess our country is in. His one-party state gave us state capture. His one-party state gave us the brazen looting of our SOE’s which has now crippled Eskom. His one-party state gave us a stalled economy and record unemployment. Next month we must vote for change. We must vote for a government that can and will build One South Africa for all. And if this turns out to be a coalition government, then let it be one built on a foundation of the values of the Democratic Alliance. In the aftermath of the removal of Omar Al-Bashir from power in Sudan and his subsequent arrest, the voice of the South African government is conspicuously missing. This is a grave error, and a missed opportunity to reaffirm our democratic values and our commitment to the respect of human rights in Africa. 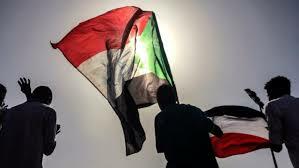 Following the arrest of Al-Bashir, Sudan’s military council announced its intention to lead the country for two years at the end of which period elections would be held for the Sudanese to choose a democratic government for themselves. The protestors in Sudan who instigated a sustained campaign which brought about Al-Bashir’s removal have refused to accept the proposed military dictatorship. Instead, they are calling for a civilian-led government. The response of neighbouring countries, multilateral institutions and influential governments is crucial now. Unless the people of Sudan find strong international support to force the military to engage with their demands for civilian rule and to respect the rule of law, the protestors are at risk of violence repression, and of losing the tenuous freedom from dictatorship that they have so recently won. South Africa can now provide leadership at this critical time based on our own history of violent subjugation, our liberation struggle and our peaceful transition to democracy. We know that the Sudanese state under Al-Bashir undermined democratic principles, the rule of law and human rights. We know that under the bloody and repressive regime of Al-Bashir, the people of Sudan had no hope of a constitutional change of government. We know that we contributed to prolonging the suffering of the Sudanese people by our failure to fulfill our obligation under the Rome Statute to arrest Al-Bashir when he was present in South Africa after a warrant of arrest had been issued against him on charges of crimes against humanity. South Africa can now show solidarity to the people of Sudan. We can leverage our influence on the continent to advocate for a civilian-led transitional government. We have a unique experience in making this work, and successfully overseeing a peaceful transition to a fully democratic state. The Democratic Alliance therefore calls on Minister Lindiwe Sisulu to reaffirm our commitment to a human-rights foreign policy approach and support the people of Sudan. South Africa owes them nothing less. The images of deliberate disruption emanating from this evening’s Alexandra community meeting with City of Johannesburg Mayor, Herman Mashaba, were premeditated by the ANC. Mayor Mashaba went to Alexandra to address the concerns of the community but was prevented from doing so when the meeting was hijacked by several rogue elements in the hall – no doubt sponsored by the failing ANC. What was meant to be a genuine interaction about concrete plans and budgets between the Mayor and the community, was hijacked and the meeting soon disintegrated into chaos and disorder. The ANC has denied the people of Alex a real opportunity to hear Mayor Mashaba’s plans to speed up service delivery and development. The ANC has truly deserted what was left of its democratic values and replaced it with violent, anarchic and chaotic tendencies. Due to the ANC’s interference, it was obvious that the intention was never for Mashaba to engage with the residents. They do not care about the grievances of the people of Alexandra, they only care about the narrow electoral prospects. 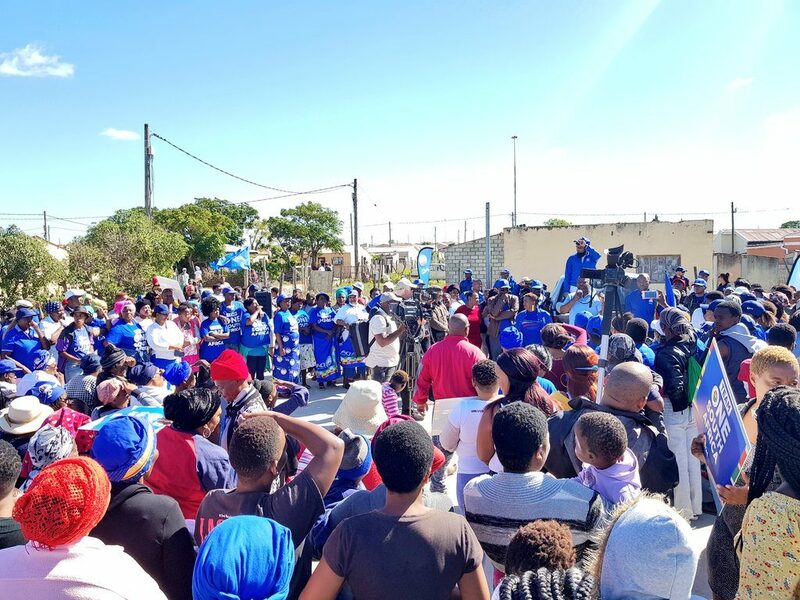 Despite the ANC attempts to disrupt the meeting, Mayor Mashaba and the DA-led coalition will continue to put the residents of Alex first. The plans to bring about real change to the people of Alex and Johannesburg will not be derailed by the ANC in a desperate attempt to hang on to their dwindling support. The emergence of pictures of an ANC-branded vehicle loaded with tyres in the Johannesburg inner city once again proves that the failing ANC sits behind the violent protests which has rocked the city and other DA-led municipalities across the country. On Tuesday, a Johannesburg Metropolitan Police Department (JMPD) search operation discovered an “ANC branded vehicle which was loaded with old tires […] ANC paraphernalia, branded material as well as delegate accreditation cards of 2 ANC members for the ANC Gauteng List Conference in December 2018”. So brazen is the ANC that it openly parades the materials of which the intended destination is no doubt another ANC-orchestrated violent protest. 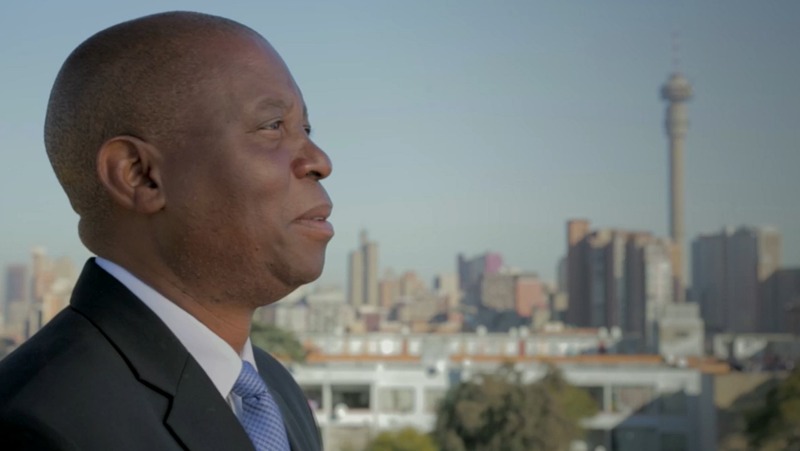 The Democratic Alliance (DA) welcomes City of Johannesburg Mayor, Herman Mashaba’s decision to seek a meeting with the South African Human Rights Commission (SAHRC) and the Public Protector in regard to the ongoing political protests in his city. For more than 25 years, the ANC has failed to deliver in its promises to the people of Alexandra and other poor communities. Instead of addressing the grievances of the people, they incite violence and anarchy on the eve an election. The dirty tricks employed the ANC is not just carried out by a few rogue elements, it’s clearly a campaigning directive issued and orchestrated by its Top Six and Campaigns Head, Fikile Mbalula. The ANC does not care about the plight of the people on the ground. They only care about holding onto their declining electoral prospects and looting the public coffers. 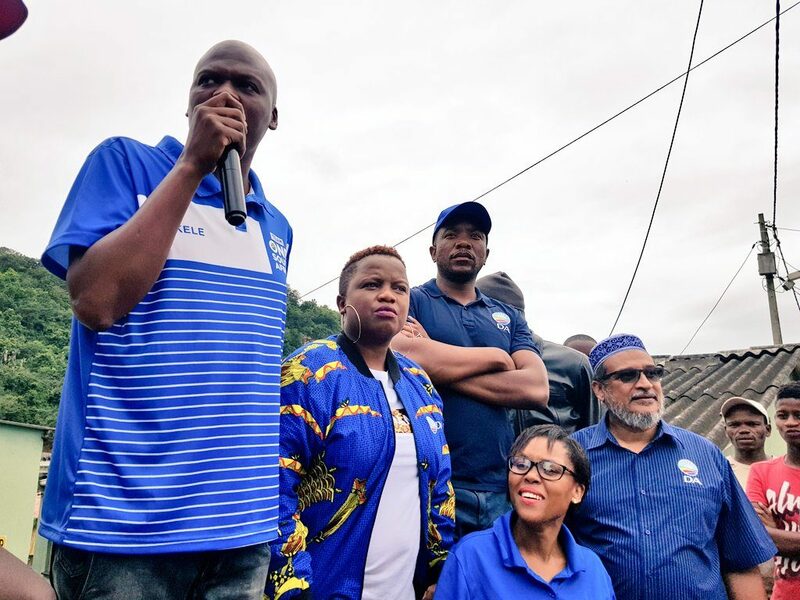 The governing party, emboldened by its president, Cyril Ramaphosa, shamelessly hijacked the genuine concerns of residents across the country to orchestrate violent and anarchic protests in DA-led municipalities. 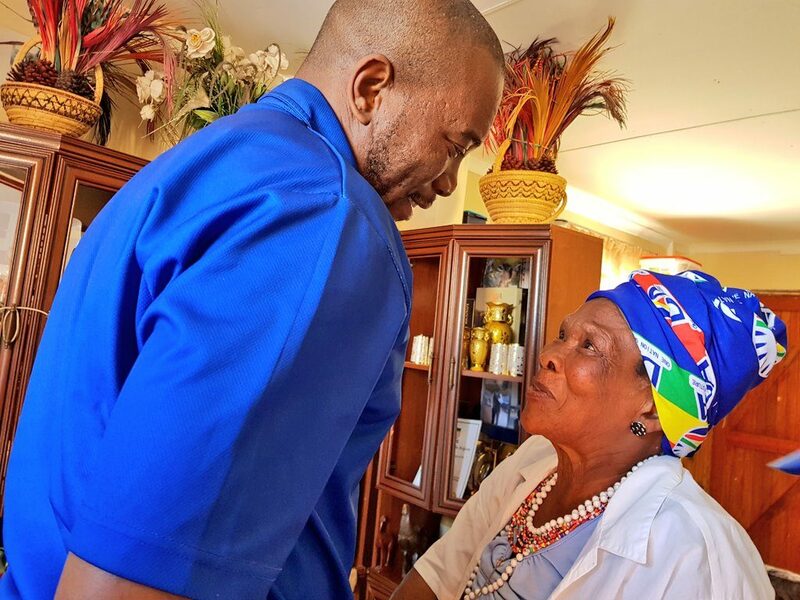 The DA will not quiver in the wake of the ANC’s destruction, in the absence of any leadership from the ANC and their president, the DA Leader Mmusi Maimane has requested an urgent meeting with both the National Police Commissioner, General Khehla Sitole, and the IEC Chairperson, Mr Glen Mashinini. 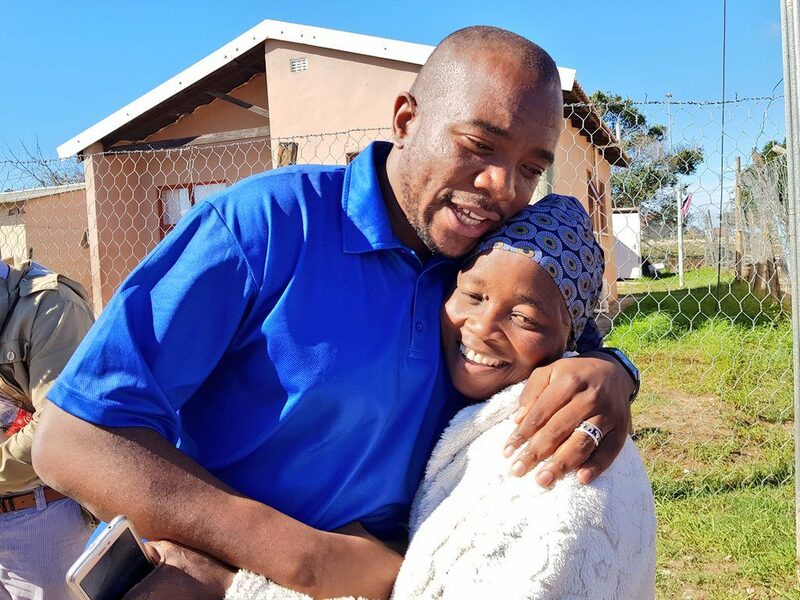 Further to this, Maimane has written to the Speaker of the National Assembly, Baleka Mbete, to request an urgent establishment of an Ad Hoc Joint Committee on consisting of the Portfolio Committees on Police, Cooperative Governance and Traditional Affairs, and Home Affairs to get to the bottom of these violent protests. Our sole objective remains to uplift and empower the people of Alexandra and other poor communities. Unlike the ANC, the DA is committed to building One South Africa for All, not destroying the country through violence and devastation. The DA is statement issued yesterday by the Presidency announcing that the inauguration of the President elect of South Africa will take place at Loftus Versfeld stadium under the theme “Together celebrating 25 years of freedom: Renewal and Growth for a better South Africa”. This is a complete violation of the separation between party and state. By using an ANC aligned theme, the Presidency is unlawfully and prematurely declaring an ANC ‘victory’ before the elections have been held. The ANC’s willful violation of the electoral code of conduct portrays the panic that has set in within the organisation, as a result of evidence that clearly shows that South Africans are opting for real change away from the failing ANC. This also explains why the ANC has resorted to a ‘scorched earth’ election campaign strategy to ferment chaos in areas such as Alexander, Cape Town, Caledon and parts of Tshwane in order to hide its failures in government. In addition to prematurely announcing inauguration arrangements, the desperate ANC government also sent a request to local municipalities asking them to provide transport to ‘delegates’ that will attend the Presidential inauguration (see letter attached). Should this request be actioned, it will be an abuse of state resources at a time when state finances are in a precarious state due to years of ANC corruption and mismanagement. This request to Limpopo municipalities is not only inappropriate but shows that ANC will rather appropriate public funds for ‘feel good’ activities rather than improve the delivery of services to some of the most underserved communities in the Province. Some of these are literally bankrupt from continued looting from ANC loyalists and can no longer serve the people of those areas. To now redirect stretched funds for a rent-a-crowd activities is quite frankly criminal. This will yet another burden on so-called “zombie” municipalities, who are unable to provide even the most basic levels of service and will cost ratepayers throughout the country tens of millions of rand. This money could have been better spent on improving crumbling healthcare infrastructure, under-resourced schools and our poor road network. That the ANC sees no urgency in investing public money in these critical service delivery areas, show how they have become disconnected to the daily struggles of ordinary South Africans. 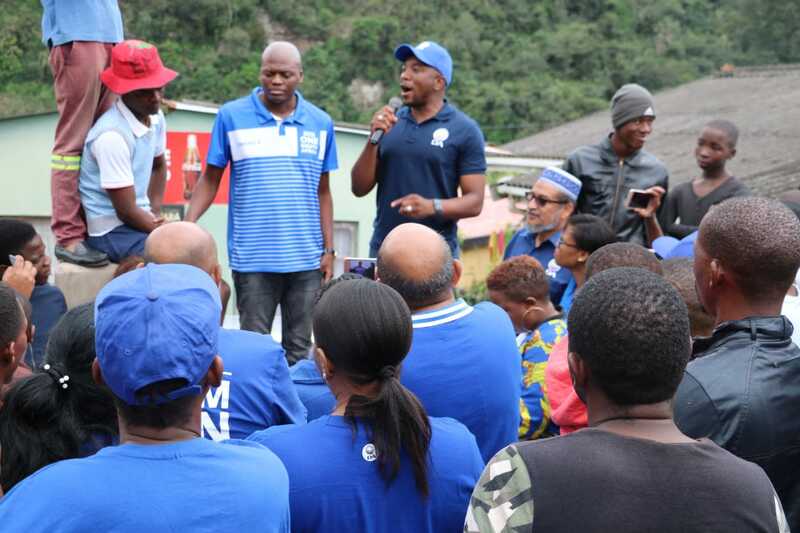 The DA is encouraging all South Africans vote for change and resist the ANC’s full on assault on our democracy and abuse of state resources to preserve a political system that only benefits a connected few. 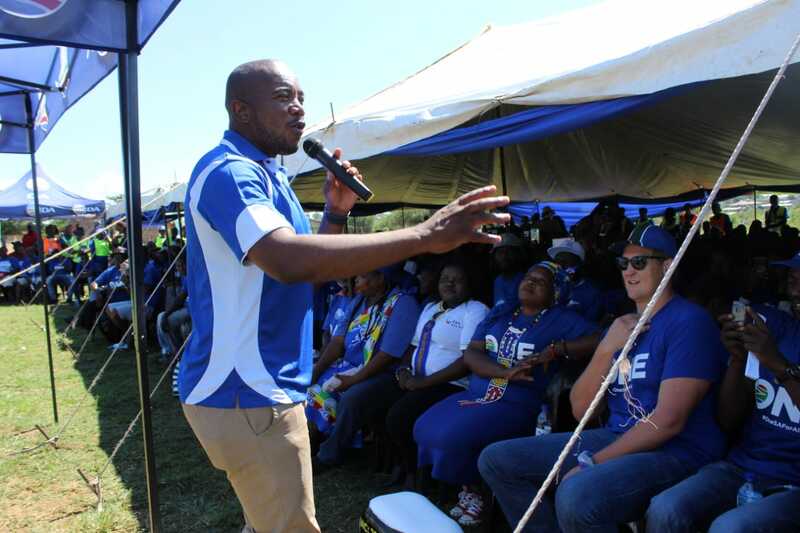 The following remarks were made today by DA Leader, Mmusi Maimane, at a public meeting in Nkomazi, Mpumalanga. Our border posts, such as the one near here at Jeppes Reef, are meant to protect South Africans and their interests, whether it be from cross-border crime, drug trafficking, illegal immigration or the illicit flow of money. But they don’t. Instead they are weak and vulnerable to exploitation, and pose a risk to all South Africans. Understaffed, under-equipped and poorly maintained, our borders and border posts have become easy pickings for those who want to enter our country illegally, or conduct illegal activities on both sides of the border. And it is mostly poor South Africans, and not the rich and powerful in government, who bear the brunt of this problem. It is poor South Africans who are targeted by the cross-border drugs trade. It is poor South Africans who fall victim to human trafficking syndicates. It is poor South Africans who have to face increased competition for healthcare, education and housing resources. And it is poor South Africans whose lives are most affected when we lose precious tax revenue to illicit trade and smuggling. When the DA makes the call for more secure borders and better documentation of all people entering our country, it is because we are acting in the interest of those who are most affected: poor South Africans. Ironically, it is precisely our porous, weak borders that seem to benefit the ruling elite and their billionaire friends across the world. How else would Jacob Zuma have brought hundreds of millions of Rands of Gaddafi’s money into South Africa in the first place to hide it at his Nkandla homestead? And how else would he manage to shift this vast amount of money across the border into eSwatini? 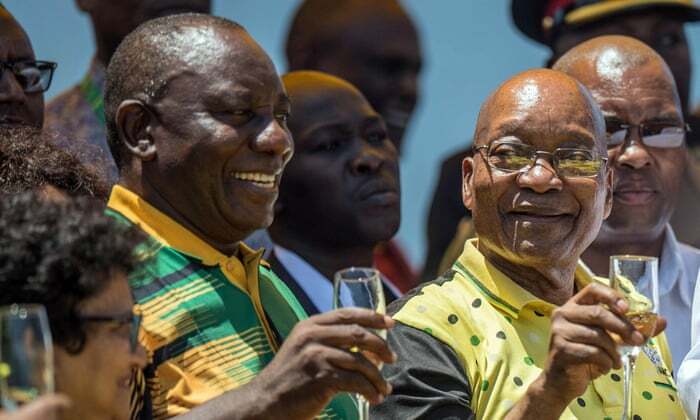 And if the former President of the Republic can do so with impunity – and allegedly with the knowledge of government and the current President – then what does that mean for the Rule of Law here in South Africa? How are ordinary South Africans meant to respect the laws of the country if they see those at the very top disregarding these laws at will? If our borders were secure, and if these border posts were properly equipped and properly staffed by personnel who were prepared to do their job without fear or favour, Gaddafi’s millions would never have entered our country illegally, let alone left our country again the same way. No country in the world can afford to turn a blind eye to the comings and goings across its borders. Yet our government has allowed the situation here to deteriorate to the point where some stretches of our land borders are a complete free-for-all. The fact is, the ANC government does not care what happens to ordinary South Africans when it neglects to do its duty. It only cares about itself. The ANC government has neither the plan nor the desire to fix our border fences, bolster our border posts and reform Home Affairs. The DA, on the other hand, has a comprehensive plan to immediately plug our porous borders and reform Home Affairs to rid it of its debilitating corruption and incompetence. If the old ANC government won’t fix it, then the new DA government will. Our plan includes auditing, properly recording and, where appropriate, regularising all undocumented foreign nationals already in the country. We will make legal entry and residence easier for skilled immigrants and businesses from all countries, especially from within Africa. We will also help South Africans to travel and do business, and we will assist those wanting to live, work and trade in South Africa legally. Our plan also includes assistance and support for asylum seekers, and the protection of refugees and those who have been trafficked across our borders. We will review the number and size of border posts to increase the number of points of legal entry and exit, and we will ensure effective and coordinated border security through increased policing capacity at our border posts and along our borders. We will also increase the 15 SANDF companies protecting South Africa’s borders to the required 22 companies, and ensure that they are properly resourced and trained. Those are just some of the steps a DA government will take to ensure that South Africans are kept safe, and their interests protected. I urge you to read our manifesto to get the full plan for our borders, as well as our plan to clean up Home Affairs. But if we are to make this plan a reality, we will need you to do your bit first. You need to add your vote to the millions of others who are tired of the empty promises and the endless corruption of the ANC government, and who want change. Grab this opportunity on 8 May to shape the destiny of our country, and to help build the kind of South Africa you want to live in. It is only through the power of our collective votes that we can make our democracy work for us. Let’s make 8 May the day we take the power back from those who have abused it for too long. Together we will build one united, prosperous South Africa for all.